The British Association for Nutrition and Lifestyle Medicine (BANT) is the professional association for Registered Nutritional Therapists. Its primary function is to assist its members in attaining the highest standards of integrity, knowledge, competence and professional practice, in order to protect the interests of the client, the Registered Nutritional Therapist and the profession. For more information, see About Us. 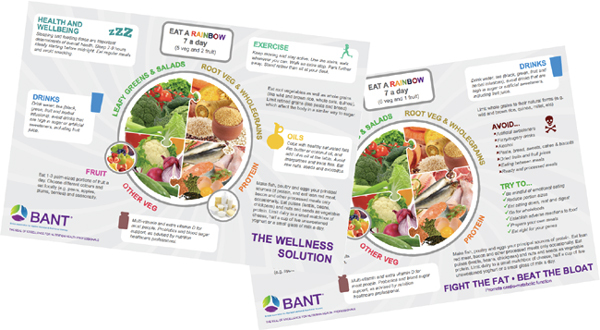 BANT is regarded as the professional association that represents the seal of excellence for nutritional health professionals and is recognised for Nutritional Therapy by the voluntary regulator, the Complementary and Natural Healthcare Council (CNHC). The CNHC holds an Accredited Register (AR) for the Professional Standards Authority for Health and Social Care (PSA). The PSA oversees statutory bodies and accredits organisations holding voluntary registers for health and social care occupations in the UK. BANT fully supports the recommendation that all nutrition professionals involved in providing advice to the public should come under the strictest regulation, whilst continually monitors the developments within the nutrition profession and intervenes on your behalf, wherever appropriate, or when we feel members’ activities may be affected. BANT is recognised as one of the major players in the nutrition profession and, as such, is often requested to comment on consultation documents issued by the Government, the EU and from within the industry. BANT provides an extensive Professional Practice Handbook as guidance and requirements for practitioners in order to ensure they meet the demands of the NOS and are safe and legal in practice. BANT’s CPD committee regularly assesses a wide range of educational events ensuring they fit BANT CPD requirements. These events are listed on the CPD and Conferences web page which is available to BANT members. BANT has established regional groups offering support and direction for all BANT members. BANT has negotiated discounted block scheme insurance with Balens and also recommends a range of other insurance. BANT admin supports practitioners via a dedicated email enquiry system that boasts real time response rates between 20-120 minutes during normal working hours. Members also have an option to contact BANT via phone. The response rate to phone calls is normally within 12-24 hours. BANT Council, Committees and Team volunteers all undertake work for BANT on a voluntary basis, thereby ensuring that membership fees are kept low. For more information, see About Us.